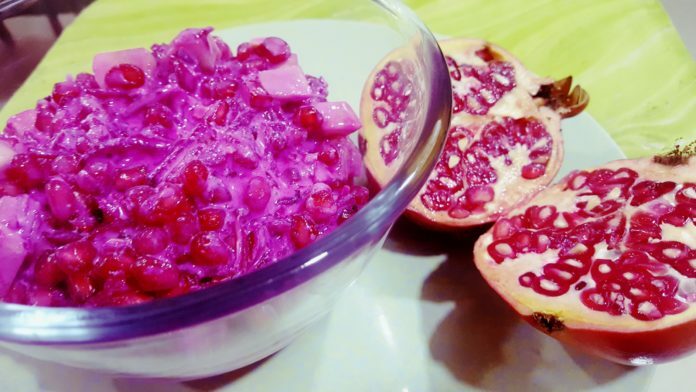 Beetroot and Pomegranate Raita is a perfect accompaniment for all kinds of dishes, especially the spicy ones. Take curds in a mixing bowl and whisk till smooth. Add grated beetroot, pomegranate seeds, chopped cucumber, grated carrot, rock salt and pepper powder.